Color conveys emotion. It has the ability to help you express anything you wish. It can be powerful, soft, energizing, or tranquil. The colors you choose define a space and give it personality, mood. Color’s influence on the senses is seemingly limitless. Every color has meaning, inspiration, a story. Tell us your story. Begin your color journey here. 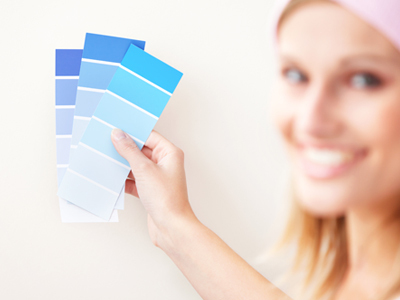 Having the perfect color for your home or business says a lot about you. 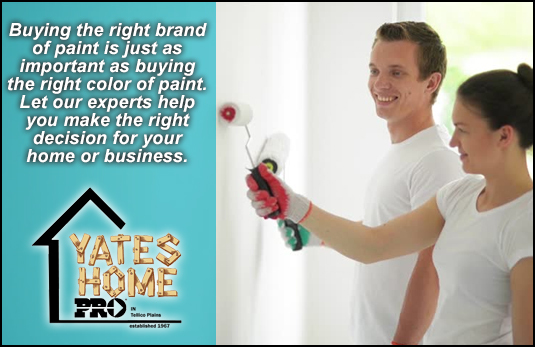 Speak louder than words with a vibrant color and let the professionals at Yates Home PRO help you choose the painting materials needed. From brushes to rollers, we have it all and will help you decide on the materials needed for your next painting project. Whether you are working on an interior or exterior painting job, we guarantee you will appreciate our wide selection of premiere products. 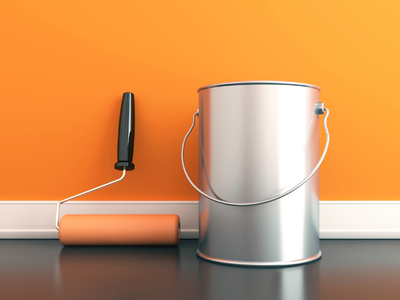 Whether you are a contractor looking to stock up on supplies or are currently taking on the project of painting your own house, we promise you will leave confident that you have everything you need to produce beautiful results.